Water Discipline is a multi-disciplinary exploration of the metaphysical potential of radical activism through a series of drawings, photographs and an audio piece. This project was exhibited at Interface Gallery in Oakland in 2016. Collectively, the work touches on themes of power, humility and transcendence that are at once universal and deeply personal - having evolved out of the challenges and disappointments Sims encountered in her own years of activism in the Bay Area, culminating with the Occupy movement. Disillusioned by ego-driven interpersonal conflicts that often undermine collective action, Sims embarked on a journey of self-reflection, finding insight and perspective in the natural world. 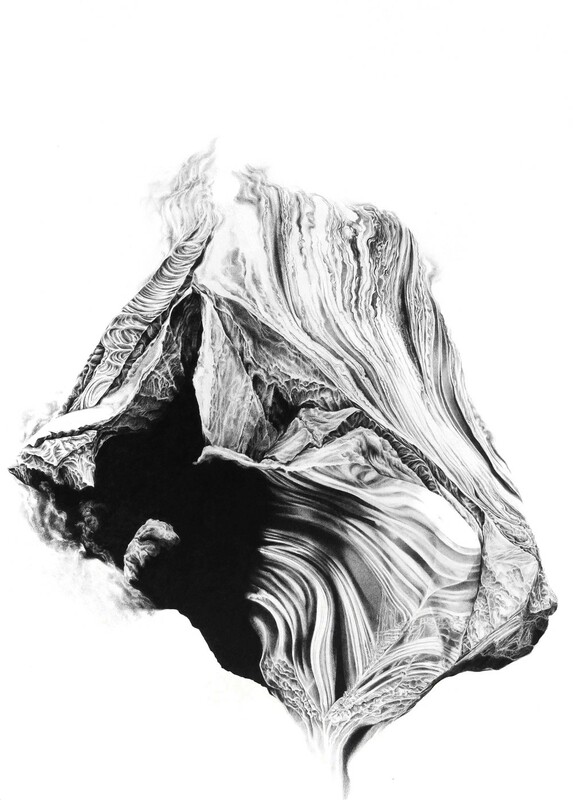 Three works on paper presented in this exhibition reference geological phenomena Sims encountered in the Sierras during her wilderness sojourns. 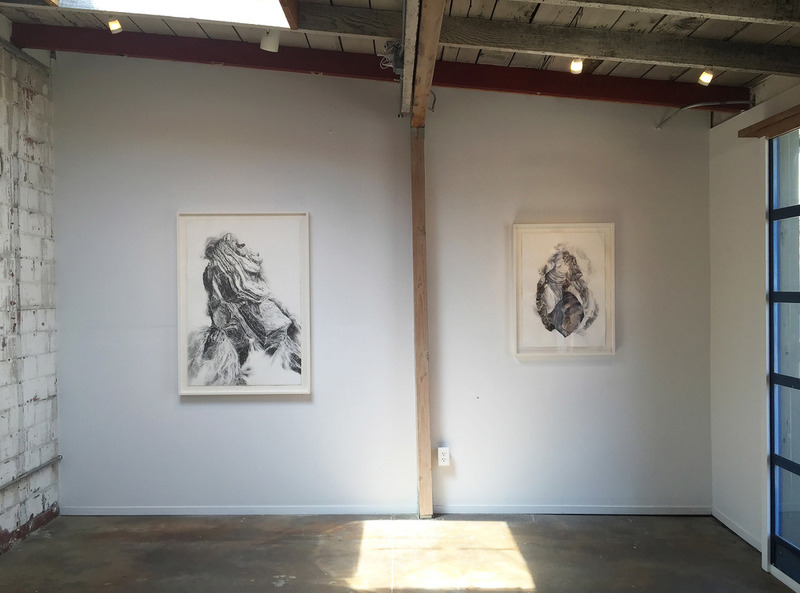 The drawings are named after radical figures who have retreated and sometimes disappeared into the wilderness. Beautifully rendered, volatile forms suggest the permeability of body and environment, refuting the contemporary logic of the separate self. Their energetic forces suggest ecstatic, even visionary moments. An audio piece, Testimony, infuses the gallery with stories shared by Bay Area residents of confrontations with power that led to ruptures in their world views and rapturous moments of realization. A transcription of these stories is included in a take­away booklet for visitors to the exhibition.